The Patong municipality in Phuket province of Thailand was devastated on 26 December 2004 by the Indian Ocean Tsunami event. 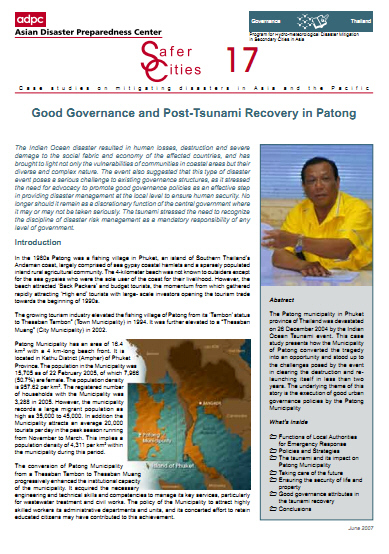 This case study presents how the Municipality of Patong converted the tragedy into an opportunity and stood up to the challenges posed by the event in clearing the destruction and re-launching itself in less than two years. The underlying theme of this story is the execution of good urban governance policies by the Patong Municipality.